Wait a minute........................that doesn't look very new.................in fact it looks ancient!!!! What's up with that? As you get farther into the list of greatest courses in America, you will see that finally at 14 you find a modern looking golf course which actually is a great modern golf course and that is Jack's Muirfield Village. 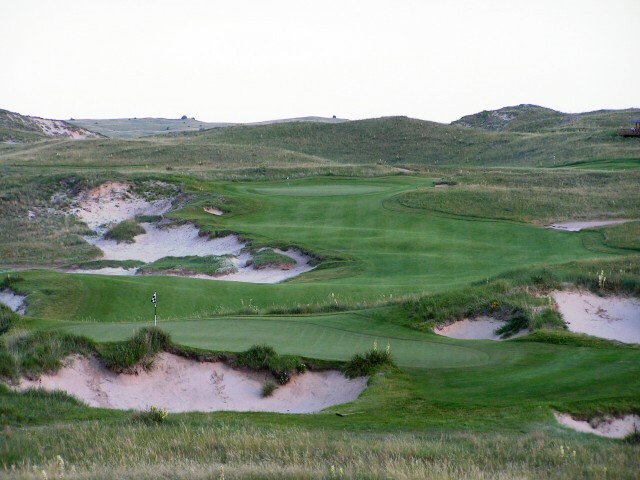 After that you gotta look pretty hard to find a modern looking golf course in the top 25, and those built in the modern era look rugged, and ancient like Whistling straights which opened in 1998. Here's a look at this shiny new gem of a course. Again, this does not look new at all. So really, today's architects are still good architects. A golf course can be new and still be on the top 100 list, but clearly your best chance of getting on this list is to at least make the golf course look old. So what gives? What is it with this fascination toward old golf courses and those that look old. Here's one thought. As said by our brilliant architect and friend Nicholas Schaan, "Great golf courses are like old cars"..........................and then he went on to say more specifically........ (following is a totally fictitious account of what he said, but whatever, it proves the point). 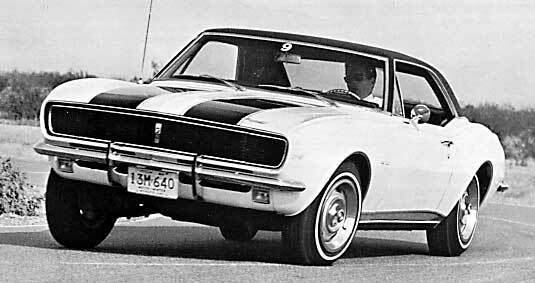 One fine day in 1967, a gentleman went down to the Chevy dealer and bought the new Camaro. Oh yes, the 1967 Camaro Z28. She was a beauty? That was the first year of the Camaro. Check out this commercial from that inaugural year. I mean these are good times for the gentleman. He gets a lot of attention driving this muscle car around, and he really just loves the car. He bathes it. He talks to it. He cares for it. Life is good.........................But, after several years, fewer people are taking notice of him in the first edition Camaro. For good reason, people start to say the car is simply inferior, which it was as time went on, and as technology improved. Well, the gentleman eventually decided it was time to give the old girl a face lift. He installed fancy tires and wheels. He put on some side pipes which sounded really "BOSS". He even souped it up with a blower and a turbo charger. The 8 track was upgraded to a cassette. He gave it a fresh new paint job and she once again turned heads at every stop. Life was good again. She was a beauty? Well again, you guessed it, technology continued to improve. The newer cars were really cool. They had smooth, sleek bodies. Yes, the old Camaro was fast, but the new cars were fast and comfortable. At high speed, you couldn't even feel the road. I mean for cryin out load the new cars had AC. So the gentleman had decided he was going to trade in his old Camaro for a new one. Heck, he even thought about trading it in for a new European car...................can you imagine? At this time, one of his friends said, " hey man, you do know that isn't just an old Camaro." The man was listening, but looked confused. The friend said, "that is an original 1967 Camaro Z28. It is totally righteous, and if you had it restored to its original condition, it would be worth a fortune." Well of course the friend was right. The original price on that car was $3,600. 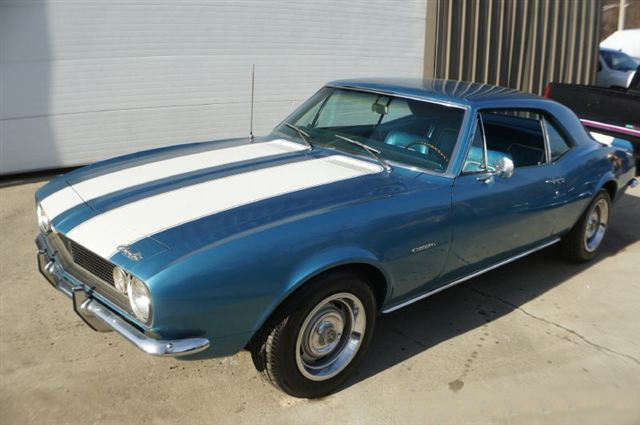 Today, a fully restored 1967 Camaro Z28 like the one you see here, can fetch close to 6 figures. So do you see where I'm going with this story? The moral is this............a classic is classic. Don't try and make it something it isn't. "Golden Era" golf courses are like classic cars............they are treasures. They may not be as comfortable at high speed, but there is something good about hearing and feeling the road. They are a little rough, and raw, but all that bling bling on the new cars is really not necessary. You don't need fountains, islands, crisply edged bunkers and flowers. All you need is a good engine under the hood and a full tank of gas. Less is more, and as time goes on, I would wager to say, the classics will endure. It seems like a new car comes out every day, but why are we all attracted to the old Camaro? Why is it that most of us would rather have the old Camaro, then maybe a new Kia. Some things don't need explaining. 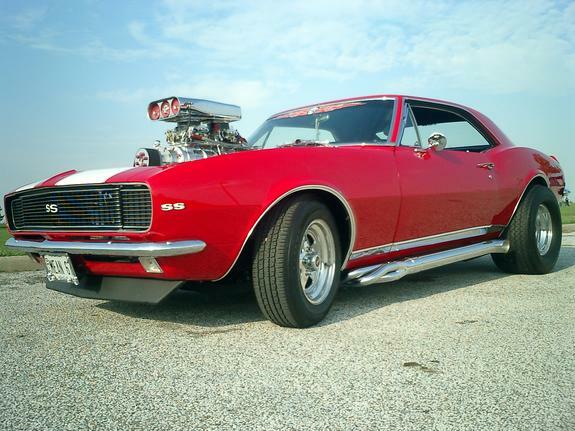 Car folks know that the 1967 Camaro Z28 is really cool and really fun to drive. It's the same with golfers. They know there is nothing like playing golf the way it was played upon conception of the game. 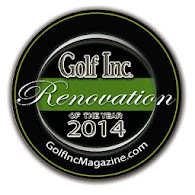 Why is it that the oldest golf courses in the world are still used today to test the best golfers in the world. Some things are just better done the way they were done when they where first done. There is nothing like an original classic and at almost 110 years of age, the course at Tacoma C&GC is definitively one of them.